An 18 year old who loves all sports, namely the likes of AFL, cricket, tennis and NFL. Scott Pendlebury, Adam Gilchrist and Tom Brady are a part of my all-time favourites. We know about the issues that cricket has faced. 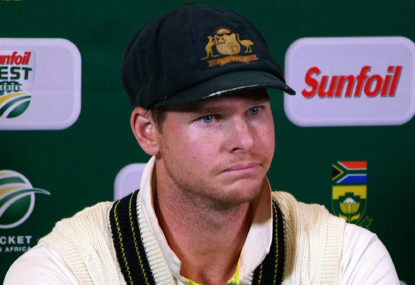 The ball-tampering scandal ruined the standards of the current Australian men’s cricket team, taking away key players because of their illegal insistence to win. 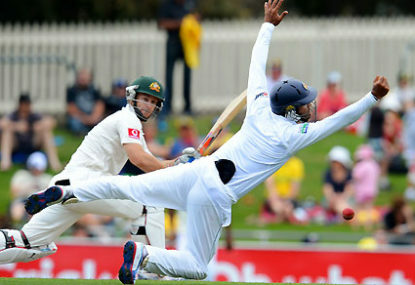 Australia appears to be in trouble against a promising Indian side touring this summer. That we all know. 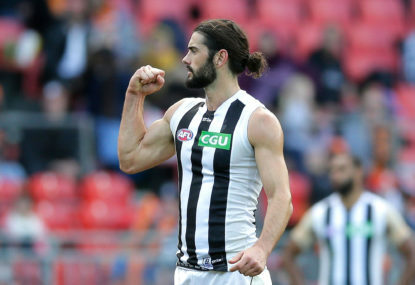 Following my article last week on how the Pies could beat the reigning premiers, their unexpected upset over the apparent benchmark of the competition has catapulted them into a grand final. It’s been heard before. Certain ways to beat Richmond can be said, listed. Yet nothing has troubled the Tigers in Victoria throughout the 2018 season. The room erupts. Hearty laughs and the cringing range of adult males trying to reach high pitched “whoops” fill the air amidst claps that bounce off the clear walls of Brisbane’s inner sanctum. 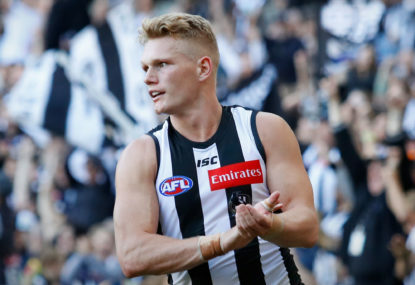 Round 22 was a vital round for the premiership hopes of the Magpies. 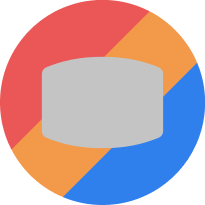 As the ladder is finally beginning to take shape, the varying form of certain teams highlights the limited amount of outfits capable of taking out the 2018 flag. Australia’s a pretty isolated country. The rusted metal of the stone cold steel grates against the rock hard brick. I’m a supporter of my beloved Pies, but I am still unsure about the decision made by the Collingwood board yesterday. 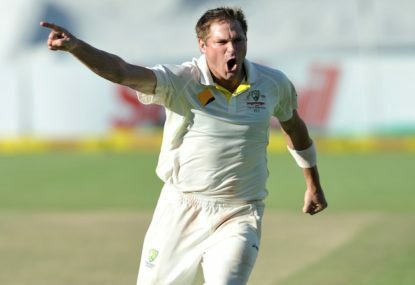 The success of the Australian cricket selection panel has undergone its trials and tribulations over the past year. The debacle of AFL grand final entertainment has been gradually lessened after the infamous Meatloaf incident of 2011. Is Fremantle’s greatest weakness Channel Seven? Fremantle’s first televised match on Channel Seven this year saw the Dockers stumble against a switched-on Richmond outfit. On Sunday night a whole nation rejoiced, as nerves that had reached a crescendo at 2:30PM AEST were truly expelled by a quirky yet trademark Steve Smith pull shot that rocketed to the boundary. 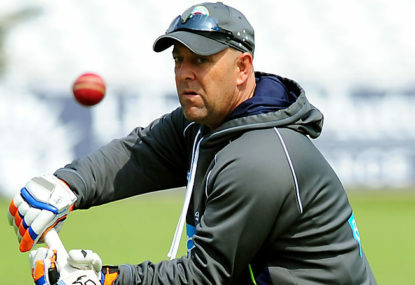 Who can replace Brad Haddin when he steps down? 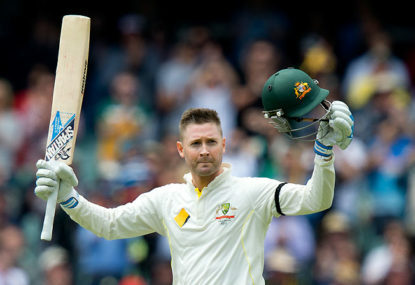 I know it is an unpleasant way to look at the current bunch of Australian cricketers, but many of them are starting to near towards their expiry date. If Twenty20 cricket is a one-night stand, then 2014 yet again showed Test match cricket is the long and glorious marriage that never ends. 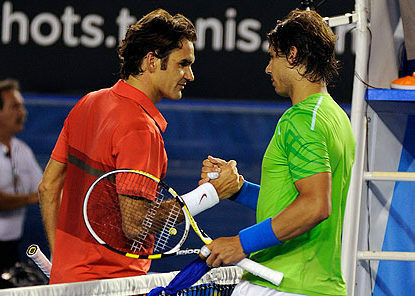 Tennis: Is the golden generation finally over? 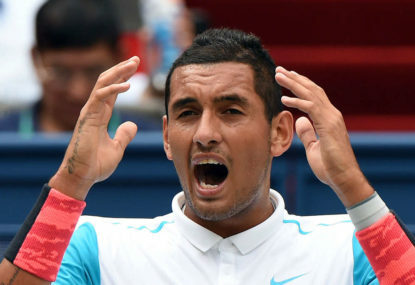 Is the golden generation in male tennis finally over? The question has been asked numerous times throughout the past few years, as the ages of the current crop of legends continue to rise like a released helium balloon. Will Mitch replace Mitch, or is there another leftie waiting to swoop? The Australian pace attack has evolved this summer, with New South Welshman Josh Hazlewood zooming past veteran Peter Siddle, and it poses the question of who is going to take on the role of our most important paceman? Over the past week, Australian cricket hasn’t had many positives. The tragic demise of Phil Hughes has left us all with an empty feeling in our stomach, as disbelief has swept over the players’ and community. I understand your hurt, very well expressed and I am around the same age so I can relate to growing up with these players at the forefront. Their actions have been dumb and without respect, and I’m happy to move on from Warner and never see him play international cricket again. An astounding talent but one that can’t represent our country anymore. However I feel that Smith deserves forgiveness, as does Bancroft. Warner was the ringleader, not the others, and although they were apart of terrible act their press conferences and seeing Smith walk through Jo’burg Airport like a criminal is wrong. Forgiveness is important, and I’m looking forward to Smith’s return. I understand the idea of it being unfair on Adelaide, and other interstate teams for that matter, but it’s ridiculous to suggest this when the MCG, which is historically significant for the game, has also double the capacity then any other possible stadium option. It should be clear that the money and the tradition derived from having the MCG host it far outweighs interstate teams who are humbled by the occasion and simply have a shocker of a day. 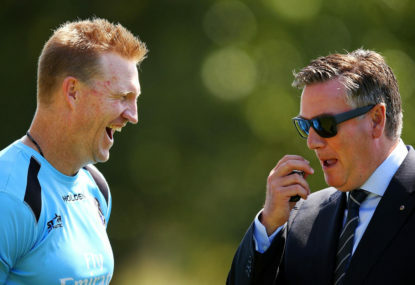 Watters and Neeld were completely different Gecko, they didn’t come fresh out of having illustrious careers and thrust into the senior coach position with only limited experience as an assistant. 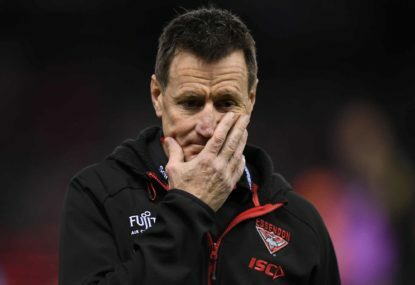 And as for Hird, I’m sure if Buckley had been coach while the majority of the list were victim to an injection program that included banned substances then he would have been gone by now. Different circumstances for different coaches, and ultimately differing scenarios. 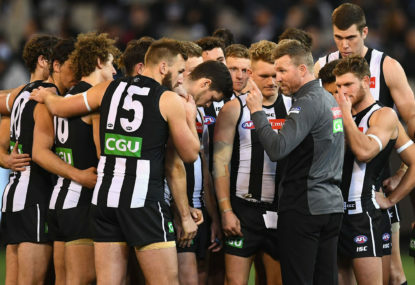 Interesting, I agree with that Chris, Collingwood should have looked around a lot more for a potential coach then they did, as they were too internal with their search. What I mean with the argument is that they had no one who they had met, discussed and had ready to take over if they did move Bucks on. 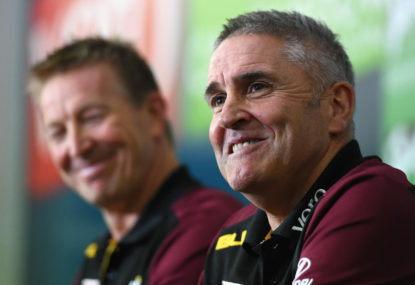 That doesn’t mean that their isn’t any options available, as I believe Sydney assistant Stuart Dew would be a good target for the Pies to have talked to, with his numerous years of experience as an assistant. Buckley is still in the job because of his name and his scenario, but maybe he’ll surprise the footy world and show his worth. A bit of respect would be greatly appreciated. Comments like this create an environment that turns away young people who just want to write and express their opinions. Just because you hold a different opinion doesn’t mean that you should denounce and demoralise someone for expressing their own. O’Keefe is 32 years old, what is the point of picking him in front of a young up and comer for a dead rubber match? As Warne said, O’Keefe isn’t the right man for the test team going forward, so the selectors should continue with their notion towards youth. 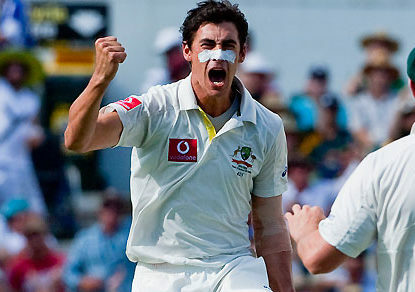 Agar is not a prodigious turner of the ball, and his biggest test match contribution was his 98. Other than that, is he really the spinning all rounder that will take wickets in India? I doubt it. Also, it would be appreciated if you could be a bit more respectful with your comments, as this is an opinion piece and just because you don’t agree with me doesn’t mean that I am wrong. Don’t create an environment that disencourages young people wanting to learn and gain experience. I think that picking Sayers would be a good Chrissie present no matter what, as a deserved Baggy Green would be respected by the cricket community. 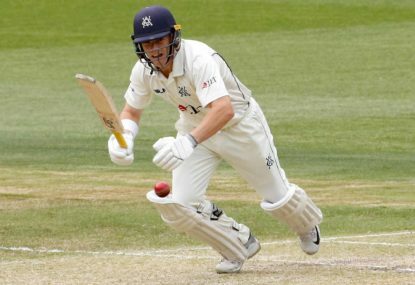 If you read more clearly, I described Maddinson’s dismissal as a shocking error due to the selectors going back on their word, as their idea of picking young players and sticking with them has been contradicted. Also, I would say he does have talent, as he has the right shots to succeed at the level. 6-7 years ago a lot of people said that Warner wasn’t good enough for test level and that he was a limited overs specialist, it may be a rare case but look where he is now. On one last night, it would be great if you could be more respectful to young authors in future, as this is an opinion based article and in turn just because you have a different opinion doesn’t make the other person incorrect in any sense. This article epitomises my thoughts perfectly! One of my friends who happens to love the Sri Lankan team started insulting Starc and his ‘sledging’ compared to Boult, who was apparently better just because he didn’t sledge! I almost choked on the clean oxygen before beginning my counterargument, which was how on Earth Starc sledged, especially in the final. He seemed to forget Yadav, Riaz and Southee tearing strips off us in previous games, as he also proclaimed Sangakarra as a quiet and humble player both on field and off. This article proved the decisive point as he finally had to swallow the bitter pill and admit defeat. Thank you for stating your thoughts, as many people don’t understand that throughout all of cricket’s history sledging has been accustomed. There is no competitive and high quality cricket without sledging, it is a harmless and fun part of the great game. 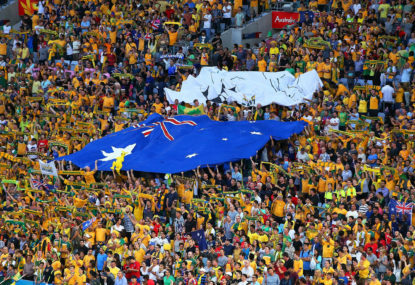 Sledging or spirit: Why are only Aussies in the crosshairs? Gilchrist in the 2007 World Cup Final? I would still put Pattinson in that squad, when he is on song he and Cummins could rip through any batting attack. It is a way to analyse the left armers waiting in the wings, as the topic makes it relevant. Trust me, I don’t choose the pictures. He would be at the bottom of my list. Definitely wasn’t my finest tip! I wouldn’t call you crazy, I was on the verge of picking them too. Do you mean Jack Frost, not Nick Frost? In the end those tall forwards (other than Jenkins) didn’t beat their opponents. None of Adelaide’s defenders could take Gunston either. That comment was for you. Now go do something with your life instead of bagging a kid’s writing. No I think that Sydney would beat any other team at the moment, as North Melbourne have only played their best football in a few matches this season. Why are you here annoying a kid’s writing? I’m only 14, maybe you should go write an article for yourself and see how perfect it is. Why are you being rude to me because of my opinion? I’m allowed to have one, aren’t I? Please don’t be a person who just goes around and hates on people’s articles. I tipped Port by 4 points. The margin was still right, it was just that I picked the wrong team. What else could Jack Frost and Tom Langdon have done? Those two have barely put a foot wrong this season. Considering both are playing their first consistent season of AFL footy, they have surely got to be rewarded for a great season so far. Sorry I didn’t make it clear. I was referring to the fact that there was a replay at all, as the draw the week before was more the infamous story. Breust isn’t a full forward and Kennedy has had one good game against GWS. Put Hawkins in at the top because he has won two games off his own boot (two more than Roughead) and put Dawes in for Kennedy. Who are the AFL's best full forwards?